Think Spring! Spring Floral Rainboots is a colorful and fun way to celebrate spring. 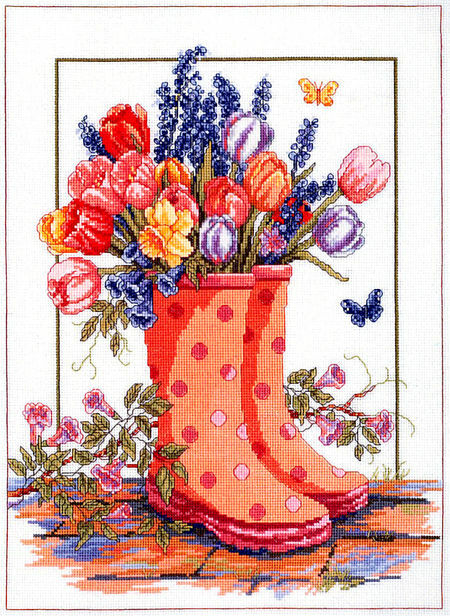 With a beautiful display of tulips, daffodils, and more displayed in two polka dot rain boots. 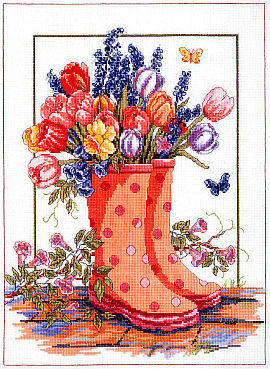 This counted cross stitch design is by Linda Gillum. Contains: 14-count Aida fabtic, 6 strand carded 100% cotton floss, floss card, needle, graph, instructions. Contents: Size 10.5" x 13"